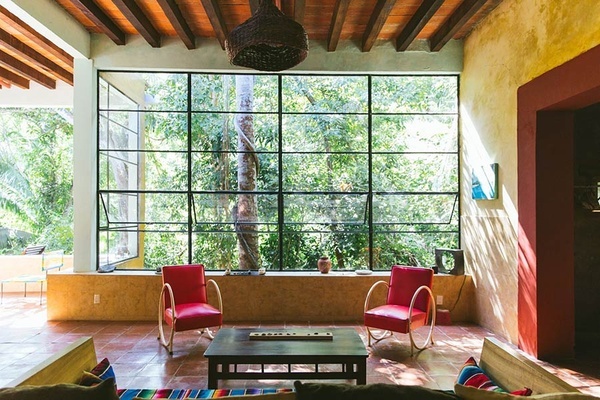 We needed someone to check out a secluded Mexican hilltop retreat accessible by boat. (Tough job.) Jesse Oxfeld was up to the task. 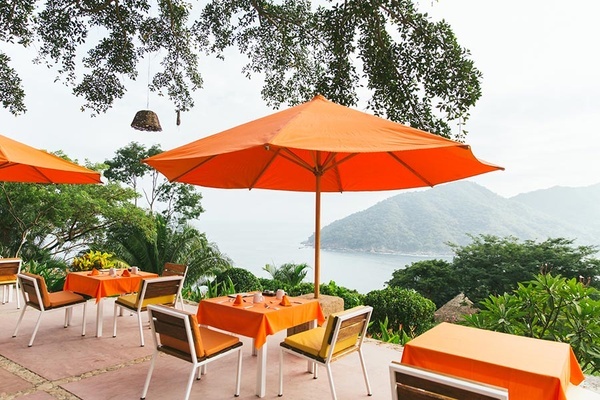 YELAPA, Mexico – Arriving at Verana is what one imagines arriving at a James Bond supervillain's lair is like if, for some reason, the villain's nefarious plot was only to provide you with a relaxing escape. 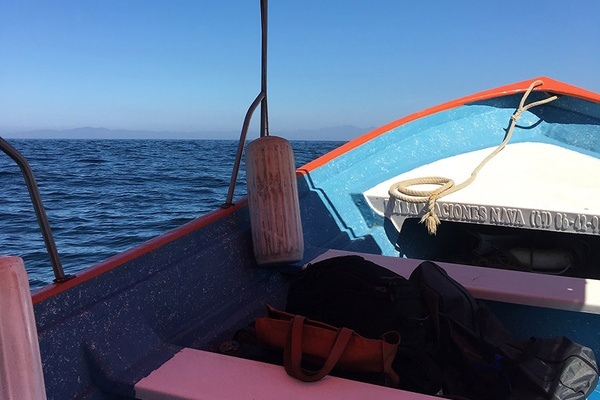 First, fly to Puerto Vallarta and catch a taxi to Boca de Tomatlán, a tiny fishing village 40-minutes south of Puerto Vallarta. Once there, climb aboard a small power boat for a half-hour cruise down the Pacific coast, whizzing past acres of virgin jungle, until you arrive at Verana's private pier. A hostess will greet you and take you to a walkaway. Fifteen minutes later when you climb to a clearing, she will lead you across a manicured lawn to a shaded table, where fruity cocktails are waiting. As you sip them, other women approach to offer a short head and neck massage, ending with the chime of a meditation bell. Finally, you are led to your room, which has no walls. They don't expect you to talk, Mr. Bond, they expect you to relax. 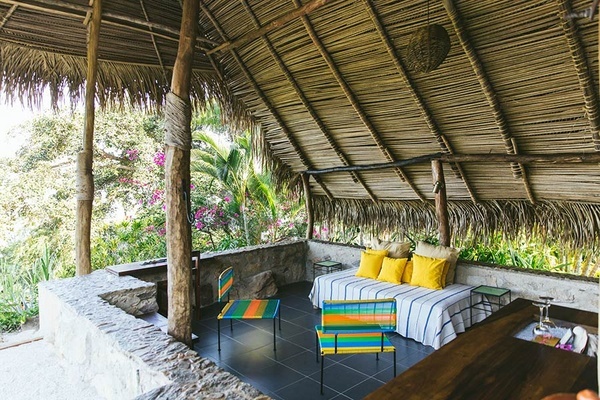 Verana, a small, secluded enclave perched in the Jalisco jungle, is a little bit mysterious, more than a little bit magical, gorgeously beautiful, and mostly luxurious. It is a collection of ten "houses," essentially open-air suites of varying shapes and sizes, nestled around a central dining area and pool, and far from anything else. 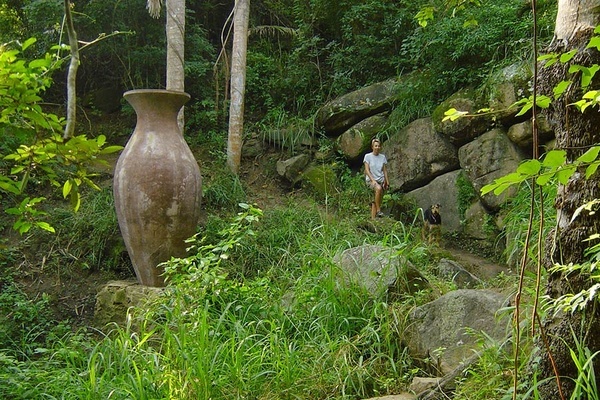 A fifteen-minute hike on the footpath brings you to the village of Yelapa, and Verana offers a variety of guided excursions, but the property is self-contained and, in the best ways, self-satisfied. Once you've made it to Verana, there's no reason to leave. Coffee and muffins waiting outside your room each morning. Photo by Laura Austin. The view from one of the houses. Photo by Laura Austin. The view from the infinity pool: Everything is so green. 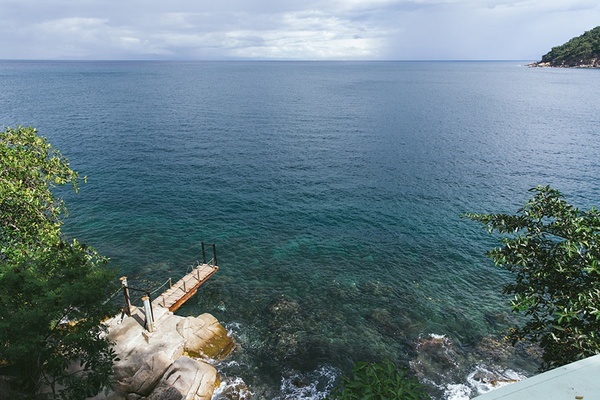 There are coffee and muffins at your door each morning, an optional outdoor daybreak yoga class, and breakfast served overlooking the Bay of Banderas. Lunch is adjacent to the infinity pool and dinner is back where breakfast happens. The bar is next to the dining area, to finish out the night. Because there are only ten rooms, and usually a five-night minimum stay, you strike up friendly, chatty acquaintances with the other guests. You'll exchange invitations to check out each other's houses. Eventually, even if you never leave poolside, you'll have to leave Verana. It will be tough to return to civilization. But not too tough; you'll be back. Many of the other guests were returnees; and everyone asks, "Have you been here before?" Rates run from $250 to $650 per night, depending on the size and opulence of your house and time of year you visit. (Spring is cheapest and winter holidays are the most expensive. From November 1st through Christmas-time, and again from after New Year's until late May, rooms cost $280 to $360.) A full meal plan is an additional $95 per person per day, excluding drinks. Spa treatments and excursions are additional too, including a $15 per person fee for (mediocre) morning yoga. Taking a boat to Verana. Photo by Vero Lievre. The colors match perfectly the trees. How cool is it to have an open suite. An amazing way to wake up. 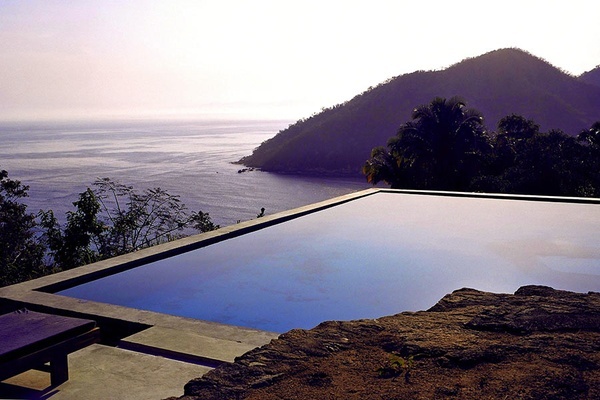 Verana is an isolated mountainside oasis overlooking the Bay of Banderas on the Pacific Coast of Jalisco, Mexico. Getting here is a trek, but it's part of the adventure. 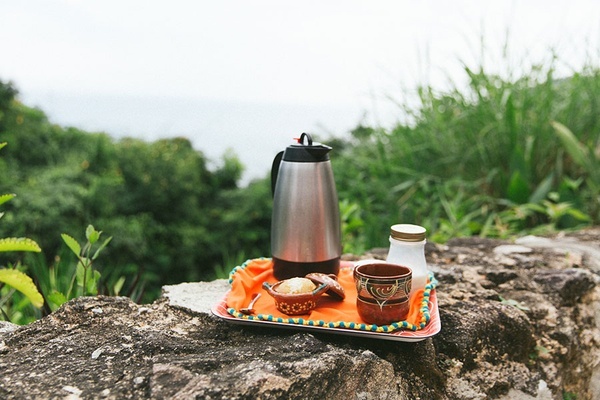 The village of Yelapa is a short walk away via a treacherous-at-night footpath; there's a public beach in Yelapa and some beachside clubs, plus authentic food and tchotchke shops. Couples looking for a lovely, low-pressure escape; and friends reconnecting. Children under 16 are not welcome, and solo travelers should be seeking solitude. Food, drink, and spa services are all available on site, and there's a small library. The breakfast menu is standard each day, but lunch options change. Dinner is whatever they're serving that night. And, of course, there's the pool. Ten "houses," mostly open to the jungle. 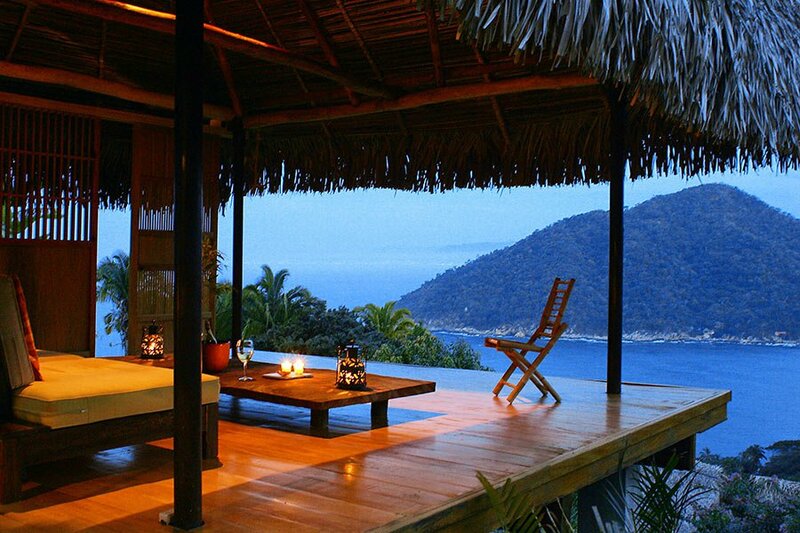 Pelapa is perhaps the coolest, a funky, multi-level bungalow with a king bed, a sitting area, and views over the Pacific. 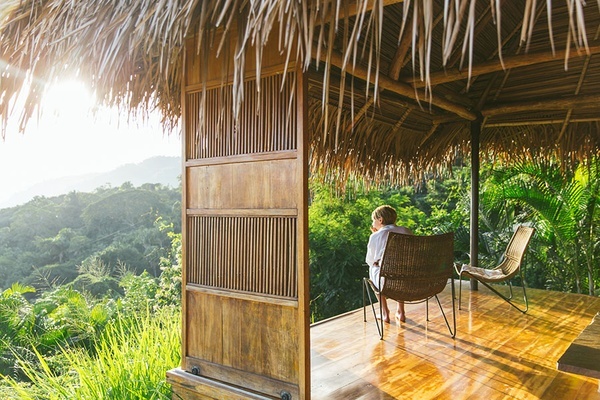 V House is a three-bedroom treehouse with great views and a markedly less luxurious feel. Jungle Suite, at the peak of the property, has two bedrooms, a living room, walls open to the jungle, and expansive views. 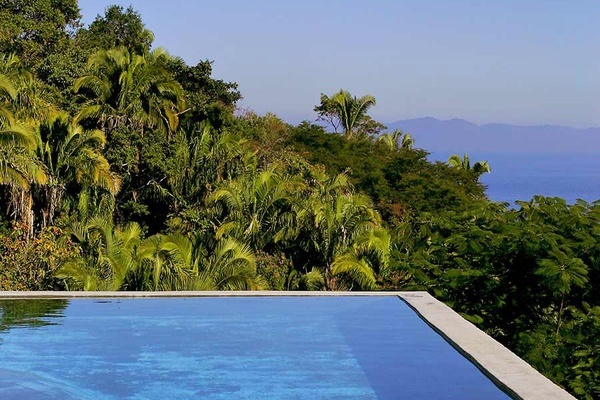 We stayed in Tea House, an open-air, Japanese-flavored suite adjacent to the pool with a bedroom view of the jungle, a sitting room view of the bay, and a private plunge pool. There is free WiFi throughout the property, and it mostly even works. Drinking water is provided in the rooms, along with locally made bath products. Each room also includes a safe, not that we bothered to lock anything up. 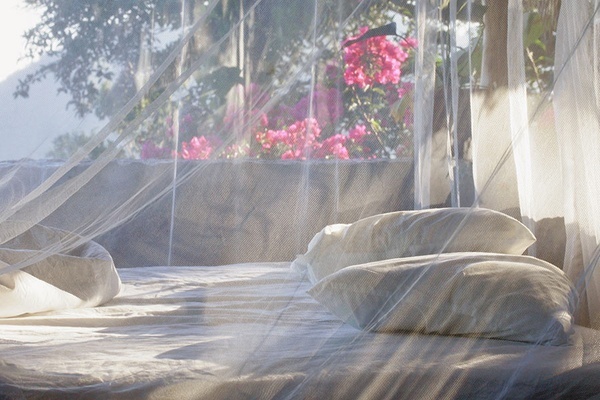 There's an elegant (and necessary) mosquito net over each bed. The journey to Verana is part of its charm but also quite a journey. From New York, it took about ten hours in transit each way. (That included layovers, as there were few if any nonstop flights to Puerto Vallarta when we traveled.) Other guests were from the West Coast and Texas, with easier travel times. Also, the tasty but not gourmet food can start to become a touch monotonous. It's a real-life fantasy of a tropical getaway, and that creates a friendly, helpful vibe among everyone. The ritual of peeking into each other's rooms to see the different houses underscored both the beauty and quirkiness of the place and the camaraderie among guests. A relaxing view at Verana. Photo by Laura Austin. Lunch spot. Photo by Laura Austin. Another beautiful view from the pool. 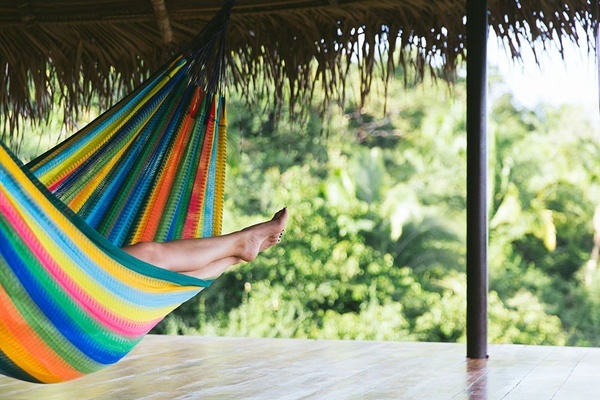 Have a nap at the hammock. Open jungle, with what appear to be other vacation homes along the footpath into Yelapa, the local village. The village is small and untouristy, with a handful of shops and restaurants, and some beachfront bars along the public beach. The walk back from town, potentially in the dark and potentially not quite sober, is challenging. Bring some cash. You'll need it for taxis and tips. But everything at Verana will go on your tab, which you can pay by credit card. Just keep in mind that you'll pay for all your drinks on that tab. Be warned: They add up. Puerto Vallarta has a major international airport (PVR). You'll take a taxi to a boat, another hour-plus of travel time. When leaving the airport, brush past all the promoters in the terminal offering a taxi ride if you'll only stop by their hotel/bar/club first. Find a licensed taxi stand outside instead. Taxis are inexpensive, about $40, and accept U.S. dollars. Bring flip-flops for the pool and a sturdy pair of sneakers if you'll be hiking. That's it.